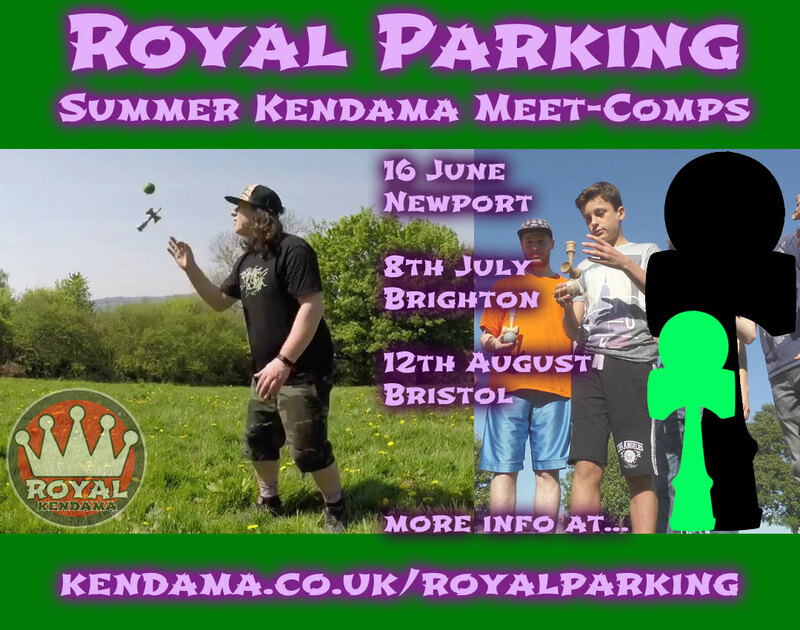 Hi, I'm running some summer outdoor "meet-comps" for Royal Kendama. Entry fee: £5, OR £3 if you compete with your own Royal Kendama. There will be at least 1 XL and 1 Plush to be won at each event. 5 divisions, everyone enters all 5 divisions. Overall winner gets the XL. A division winner will be picked at random to win the Plush (This will be a different person to the overall winner). Possible spot prizes too (tbc). St George Park. (Nearest train station: Lawrence Hill, or else a longer walk from Temple Meads (40 minutes?). Meet by the skate park. Thanks, look forward to seeing you there! I shall be at both the Newport and Bristol ones, Brighton is a bit of a stretch for me! Anyone coming to the Newport one via train let me know as i live 1 min away from the station and i can meet you there. Excellent, cheers. Haven't decided yet if I'm driving or getting the train to Nyuwpawwt. I'll let you know nearer the time. Eeek, the dreaded words "replacement bus service". I'll be driving then. Meanwhile, word of mouth sounds like we'll be getting double figures, so that's good. Today I finalised the formats for Newport. Had a few run-throughs too. Weather forecast for Newport is okay. Might get a passing shower (coffee break! ), but should be a reasonable day. Bring a hat and coat everyone! If driving there is free parking on two sides of the park, top and right hand side. If no space let me know as I do have visitor passes so can squeeze a few cars outside my house/ parking zone, only a bit of a hill to walk up from mine to get to the park. Also, anyone travelling by train (well replacement bus service) drop me a PM as i can meet you to walk there as I live just 1 min away from the station. Waterloo Road and Friars Lane (south side), but not Belle Vue Lane. Try NP20 4FP. Or if there are no spaces, try NP20 2GH, which is ~1km walk away. Good stuff, nice jamming! Nice to meet you, Jordan & Dan, and nice to see you guys again, @Woodsy @Mikegee @Dice126 @mreasyguy @BenPycroft24 . Congrats to Ben for taking the overall win, and Dice for the division win. Well played, all. Brighton this Sunday! Weather's looking warm.